Med spas – medical spas and medical aesthetic practices – represent one of the nation’s fastest-growing industries. According to the American Med Spa Association, “New technology, younger patients, and a desire to avoid surgery, among other motivations, have led to an explosion of new consumers.” Are you getting your share? But big growth means a big increase in competition. Marketing your med spa in the same old ways is no longer adequate to secure attention from prospective patients, or loyalty from existing ones. Instead, new times and new audiences require new approaches. So how should you be marketing today? To help you create a more beautiful future for your med spa business, we’ve developed this A-Z guide that explains all the key elements that make up an effective 21st-century marketing strategy. You will learn why each component is so important, and you’ll get examples and actionable tips you can use right now to revitalize your marketing plan and execution. Today’s med spas serve multiple audiences. Men and women are living longer, healthier lives. As they age, they want to turn back the clock a bit, to look as young as they feel. In addition, young adults want to proactively head off signs of aging, to retain their youthful appearance. In fact, according to the 2017 Medical Spa State of the Industry Report, 69% of med spa patients are now under 55. Millennials account for a full 17% of the total. Regardless of age, patients may have specific skin challenges or conditions they want to address. Are they looking to your med spa for solutions? They will if you reach out to them in relevant ways. An integrated approach to marketing boosts name familiarity, establishes your expertise and credibility, and sets you head and shoulders above the competition. Your med spa is top notch because you’ve invested time and effort in training, careful selection of your menu of procedures, and sharpening your skills. It’s time to invest in an equally top-notch marketing plan – one that attracts and retains the clientele you deserve. Ready? You don’t need a trade association to tell you competition is increasing. You can feel it every day. That’s why branding is critical. Your name must be immediately recognizable. Your reputation must be synonymous with excellence and professionalism. That “brand promise” builds trust and confidence in prospects. Living up to it every day reinforces your branding and builds loyalty. How you present your brand – every detail – must be consistent. If not, prospects will be confused instead of impressed and reassured. Patients come to you to make physical changes, but they do so for emotional reasons. It’s about their self-image. Your marketing must speak to that, balancing factual information with a just-right appeal to their desire for self-improvement. Always be positive. Never say or suggest that prospects may feel unattractive or inadequate in any way. Negative words reinforce any negative feelings your prospect may have, plus they can imply you are judging them. Nobody wants to visit a judgmental med spa. But everybody wants a professional friend in the med spa business. Let your patients get personal, in their own words, rather than yours. It’s perfectly OK for Jane Doe to say, “I hated seeing those fine lines and wrinkles in the mirror! Thanks to XYZ Med Spa, I look so much younger now.” Using patient testimonials is an excellent marketing tactic, because they personalize your services in ways prospects can easily relate to. Well-branded messaging is conversational, too. Use second person – you and we – so your marketing doesn’t sound like a textbook. And avoid medical jargon, acronyms, and overly-clinical descriptions of services or products. These things are off-putting, when you want to make people feel comfortable and welcome at your business. What will this procedure/treatment do for me? Why should I choose your med spa? As we noted earlier, today’s med spa prospects are multi-generational. Nonetheless, well-crafted brand messages consider the age of your target audience as well as other key demographics. With med spa marketing, it can be oh, so tempting to use photos of stunningly beautiful models. Perfect skin. Perfect facial and body structure. The ultimate “after” picture. The problem is, no one believes it. Prospects know they will never look like that, no matter how many treatments they purchase. They will never “measure up” to your standards, so why bother? Better to pick another med spa where they won’t feel so embarrassed. Using models that look like real people inspires confidence and comfort, and it gives patients realistic expectations about their own possible outcomes. Thanks to advancements in medical aesthetic tools, techniques, and products, med spas are now able to offer a wider range of procedures and treatments at significantly lower costs, compared to surgical alternatives. That opens your door to more prospects – as long as your visual marketing appeals to a wider target audience. Along with realistic photos, keep other images and design elements simple. Sophisticated design looks clean and inviting (two things everyone wants in a med spa), but overly-ornate suggests your prices may be inflated. If you were a retailer, potential customers could step in the door and examine your merchandise. But people don’t usually stop by your med spa to look around or chat about services. They search online. Your website serves as your storefront, and searchers click to go inside. Will they stay to browse your services and perhaps “purchase” an appointment? They will if you give them reasons to do so. That starts with making a great first impression. Your website must tell visitors you’re knowledgeable and professional and offer the services they want. That your business is clean and inviting, as we noted earlier. That you care about your patients. And that you have personality, too. If your med spa is trustworthy, friendly, and comfortable, who wouldn’t choose you? Why is your website so important? Like a storefront window, your website has just a few seconds to capture your visitor’s interest and inspire them to delve more deeply. But visitors differ, because you have different types of prospective patients. Some are looking for a specific product or procedure, and they’re trying to decide if your specific med spa is right for them. Some are still learning about types of treatments that might address their aesthetic concern, regardless of which med spa provides the treatment. They need more information to make a decision about that as well as the right provider. Your website has to deliver whatever each visitor is looking for. The content has to be easy to find and easy to understand. Instead of insufferable sales pitches, you’re “selling” the fact that you are a knowledgeable, trustworthy resource. A partner in helping each visitor make well-informed decisions to reach their personal aesthetic goals. The more informative your website content, the more “appointment-ready” prospects will be when they click or call your office. So quality content saves you and your staff time, too. Like people, websites age over time. Just as your services can help patients achieve a refreshed, more “current” appearance, periodically refreshing your website keeps it in peak condition. This is not simply a matter of aesthetics. Your website’s structure and content directly affect how easily online searchers can find you. Or if they can find you. If you aren’t using the latest best practices to ensure best possible search engine optimization (SEO), you’ll lose critical search visibility. That means you’ll lose business. There are other reasons to update your website. Mobile devices are everywhere these days – in fact, online searchers are now more likely to be using a smartphone or tablet than a laptop or desktop computer. If you’re one of them, you know how annoying it can be to view a website that is not optimized for small screens. For most people, the frustration isn’t worth it. They click away and look for a more amenable site. If your website is more than two or three years old, it doesn’t need a facial, it needs a makeover based on responsive design. With responsive design, your website can recognize the type of device each visitor is using and respond accordingly, with the most appropriate display. Big screen? No problem. Small phone? Right-sized visuals. The easier it is for people to interact with your website, the longer they will stay and the more likely they are to return. Prospects want to know what’s available – what kind of med spa is this? Do you offer what they’re looking for? You want to plant “seeds of interest” with visitors, introducing them to services or products they may not have considered, or even known about. It’s called suggestive selling, and it’s one of the best ways to grow your business. So what’s wrong with a one-page list? It sounds efficient, but it is inconvenient and annoying for your website visitor. They have to troll through all that content to find what they’re looking for. Or not. That’s too much work. Most people won’t scroll down farther than the top 25% of the page, so if your list is long, they’ll never see it. Content that is super-easy to use endears you to prospects. It encourages them to believe your med spa is “user-friendly” in other ways as well. It’s OK to group similar treatments together – say, different types of chemical peels, or injectables – because they address similar patient concerns. Beyond that, giving different types of procedures their own page makes it easy to find the content and allows you to provide more detailed information. If your med spa specializes in a certain area – laser-based procedures, for example – be sure to build your website around that. Among other things, it reinforces your expertise with prospects considering those procedures. And be sure to include content about non-procedure offerings at your med spa. Skin care products, treatment “clubs,” and your loyalty rewards program can all generate valuable additional revenue, but only if you market them effectively. In fact, retail products now account for 18% of revenue for the average med spa. Landing pages for specific procedures as well as special offers – read on to learn more about how these pages convert visitors to leads. Notations about special professional certifications your staff or your business have received, as well as other honors and awards. Link to press coverage you’ve received, too. These all provide independent validation of your excellence. Bios (with photos) – at least of your professional staff, although potential patients like to know about the rest of your staff, too. After all, they’re likely to interact with several people during their visits. Do you offer financing options or assistance? Mention that. 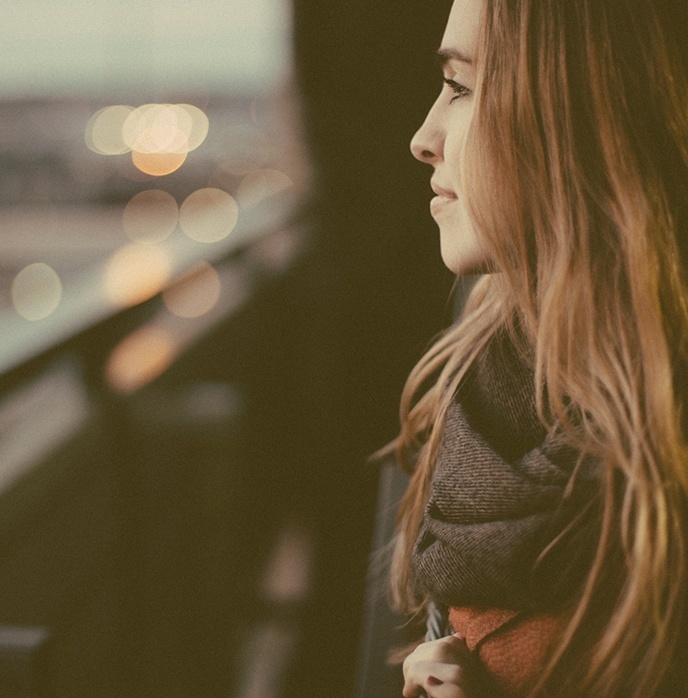 Do you offer concierge services for out-of-town patients? Mention that, too. A blog is also a must, as it is your website’s primary support when it comes to attracting traffic and educating prospects and existing patients. One of the best ways to show prospective patients what you do — and what kind of results different types of procedures can achieve — is by posting before and after pictures on your website. A picture’s worth a thousand words, especially for cosmetic procedures, because it’s difficult to explain in words the nuances of aesthetic results. Photos also help prospects see that results can vary among patients. The key is to post enough examples to give patients realistic expectations about potential results. They’ll feel most confident if they can see past patients who are similar to themselves. Multiple examples also underscore your experience and skill. Too few, or no photos at all for a particular procedure, may leave them wondering about your abilities. Done right, the photos in your before and after gallery can be some of your most effective “salespeople.” So think about presentation as well as the number of images. If the photos you post look like mug shots, it will be hard for anyone to relate to them, let alone want to emulate them. It’s OK for patients to smile in their photos (especially the “after” shots!). Using a nicer background and quality lighting will make your images look more professional. For certain procedures, pictures that show multiple angles are far more informative than a single shot. You can make the photos even more relatable by adding a sentence or two that describe the patient’s “problem,” their aesthetic goal, and the results achieved. Everything we’ve talked about so far regarding your website has been aesthetic – aspects visitors can see and relate to emotionally. Details that will differentiate your med spa from the competition. But a successful website has to function beautifully, too. That requires a strong foundation based on the latest best practices for website design. You need a top-notch content management system. And proper back-end code that enables your website to keep up as your needs change. And a killer content delivery network (CDN) backbone delivering super-quick page load speeds to your visitors. Technology and your med spa’s marketing requirements are both constantly evolving. The right back-end code allows you to make incremental tweaks as you need to upgrade. Without it, you’ll have to create an entirely new website in just a year or two. That’s frustrating and a waste of money. These days, protecting your website is more than important than ever. If your server were to crash, or you’re victimized by malicious hackers, it could stop your business cold. It is essential to regularly back up your website, and it is equally important to ensure someone is providing active technical support that includes platform upgrades and security patches. It’s essential to drive traffic to your med spa website, so people can learn about who you are and exactly what you have to offer. But you want them to do more than visit. Ultimately, you want them to become new patients – or repeat customers. Landing pages are where visitors take the next step – becoming leads you can nurture, or making the decision to buy by scheduling a consultation or treatment appointment. Because the purpose of each landing page is different, the most effective size and format will vary, too. The one constant factor is your goal: to motivate visitors to take that next step. Every detail of design and content affects landing page effectiveness, so let’s look at that more closely. A landing page is like a doorway – it leads your prospects to something they want (to sign up, download, etc.). But in order to open the door to your valuable offer, they have to give you something of value in return. Usually that’s their email address. Sometimes you may want to ask for additional information, but the less you ask of them the more likely they are to follow through. Now that you have their email address, you can stay in touch with them. Hopefully it’s the beginning of a long and profitable relationship. All because your landing page spurred them to take action. What kind of content makes an enticing download? Infographics or short videos that explain a procedure, tip sheets on skin care or show to prepare for a procedure, etc. Individual patient stories (informal case studies) can be particularly valuable because they are not only educational, it’s easy for prospects to relate to them. Anything patient-related must be anonymous, to comply with HIPAA rules. Pick topics and formats you know are most appealing to your target audiences. And speaking of target audiences, niche content is designed to appeal to a very specific segment. Men might like to read about innovations in hair loss treatments. Or removal of unwanted hair. Acne sufferers want to know about options to reduce scarring. If your med spa has a specialty, you want to create content that highlights that. Niche content enables you to reach out more personally to target specific groups, to generate higher quality leads. Effective landing pages are short and sweet. They can be very short, if the offer is simple, or a bit longer, if the offer requires more explanation. Either way, they make your offer quickly and compellingly. The best way to do that is to make the page visually interesting. Use short text with bullets to highlight key points. Use conversational language, not medical jargon or clinical terms people may not understand. And use visuals to illustrate key points. Photos and graphic images can convey even complex information at a glance. Maybe even consider using a video on your landing page. Prospects are looking for a med spa where they’ll feel welcome and comfortable, so keep landing page content upbeat, and let your personality shine through. As a med spa owner or marketer, you’re in the “appearance” business. You know that looks make an indelible impression. That goes for your landing pages, too. If they’re ho-hum, the content is confusing, or they’re outdated, they won’t inspire action. And they may suggest your med spa isn’t all that great, either. Well-designed landing pages increase conversions and boost your branding, too. Make sure your pages are clean-looking. Relevant content and nothing else. Messaging that’s to-the-point and motivating. Visuals that directly relate to and support your message. A graphic that depicts your e-book, a photo of a smiling patient, and before-and-after photos are all good examples. Deliberately invite website visitors to your landing pages. Promoting each offer encourages prospects to look further and follow up. Landing page invitations are like tiny advertisements. They appear in the form of buttons or on-site links that we call “calls to action,” or CTAs. Place them strategically, where prospects can easily see them – on your home page, on relevant content pages, in your blog articles, etc. The key word here is “relevant.” The call to action should directly relate to that page’s content so clicking through to the landing page is an enticing follow-up to your visitor..
Here’s an example of how CTAs work. You’ve written a blog article on a particular procedure, but there is more content you want to provide than would fit into that one article. So you create a longer downloadable PDF guide on the procedure. To let readers know about it, you place a call-to-action button that says something like “get the full story…” just to the side or at the bottom of your blog article. Readers can simply click it to come to the landing page to get the rest of the information. CTAs can invite folks to take any of the actions we noted above (sign up, read more, etc. ), but make sure you also provide plenty of opportunities to “schedule an appointment”! After all, your goal is more sales so you can build your business. You can promote your landing pages in places other than your website. Get the word out via social media posts. Include links in emails campaigns aimed at prospects and existing customers. Add a link to your email signature. You can even use offline marketing such as print ads or billboards to promote a landing page. Online searchers rely on blog articles to help them find answers to very specific questions about services and procedures that go beyond just simple brand name searches. The useful information you provide via blog articles broadens awareness of your med spa, and it also generates better-informed leads. It’s a win-win. What goes into a great blog? Educate readers about specific treatments or other services that you offer. 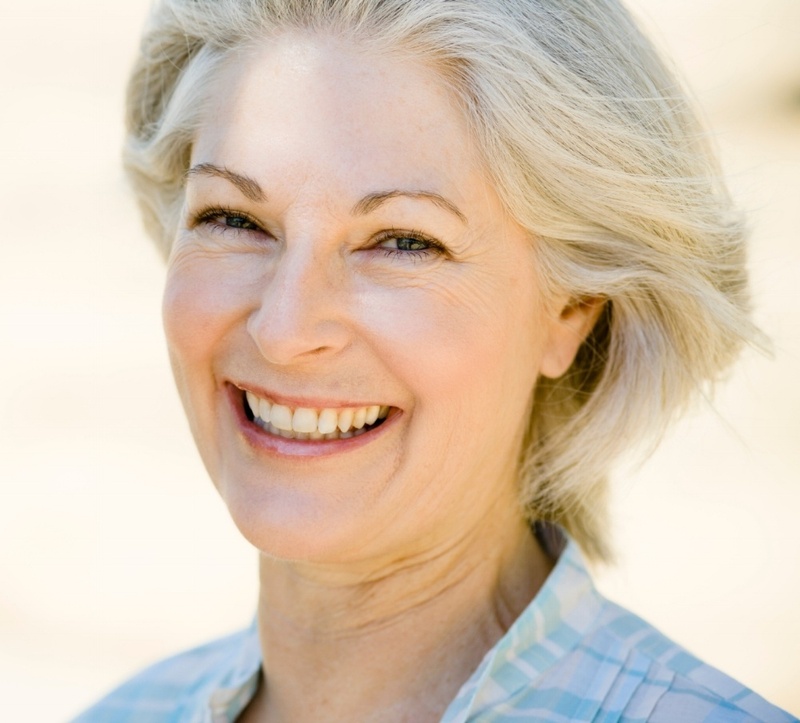 People want to know more about popular procedures they may be considering for themselves. How does a laser treatment really work? What’s the difference between Botox and dermal fillers? Articles like this inform readers and underscore your credibility. Educate prospects about brand new or up-and-coming procedures they may not have heard of. For example, what is a platelet-rich fibrin matrix, and what can it do? Articles like this show readers your med spa is on the cutting edge when it comes to using the latest technologies and techniques. That helps you stand out from the competition. Talk about “healthy living” tips for diet, exercise, and skin care – all topics that relate to looking and feeling better. Isn’t that what your patients want? Articles like this highlight your interest in the “whole patient,” not merely selling another treatment or product. That creates trust with new patients and builds loyalty. Talk about the latest industry news or best practices, explaining what it means to your med spa and your patients. Share patient stories, or case studies. You can’t mention details that would identify the specific person, but you can easily avoid that and still tell a compelling, relatable story about someone’s real-life experience with one of your procedures. Case studies are one of your strongest marketing tools, and your blog is the perfect place to summarize them. Let everyone know when you receive media coverage, a special award or honor, or another professional accreditation. It’s OK to pat yourself on the back in this way. People want to celebrate with you, and third-party honors and accolades reinforce your credibility. Let everyone know about new staff members. Or changes to your facilities. Adding expertise, equipment, or amenities tells your audience you’re constantly improving. That’s a good sign. Sharing your own news also personalizes your med spa, building a sense of familiarity and comfort. Great blog content don’t just have to be traditional written articles. Video has tremendous drawing power. So change things up, using a little introductory text that leads into a short 2-minute video about a procedure or how to care for skin following a procedure. For aesthetic treatments that are more complex, creating an infographic is a wonderful way to explain the steps simply. Visuals like these can have even more impact than written articles, because your med spa is a visual business. Varying the format of your blogs keeps readers interested, too. Use everyday language. You want to sound professional, but write as if you’re having a personal conversation with someone. (In a sense, you are.) When you’re friendly as well as knowledgeable, more people will want to read your blog (and visit your med spa). You’re building trust. Post consistently. How often you publish new blog articles is not as important as posting on a regular basis. Pick a schedule you can keep, whether that’s weekly, semi-weekly, or monthly. Regular posting keeps you top-of-mind with readers and gives them something predictable to look forward to. Promote your blog. Blog articles often appear in search results on their own. But, just like marketing your med spa, promoting your blog will bring much better results. You can share links to blog articles in your email campaigns, embed them in your email signature, and share them with your social media followers. You can use native advertising to reach new audiences. And, by all means, give website visitors multiple opportunities to subscribe to your blog. That way, they’ll receive an alert every time you post a new article. But don’t over-do the promotion. Promoting your blog to build readership is one thing. But don’t use blog articles to overtly advertise your med spa. The purpose is to inform (and sometimes entertain) readers, not to produce “advertorials.” Today’s consumers can quickly recognize veiled sales pitches for products and services, and nothing will turn them off faster. It’s OK to talk about specific treatments and products, but keep it educational. Finding time to compose blog articles can be even more challenging than thinking up topics. Running your med spa is a full-time job, and more. You could write your blog, but you have no more room on your plate. Teaming up with the right marketing team allows you to focus on med spa operations and your patients without sacrificing marketing opportunities. The inbound marketing retainers we provide our med spa clients include blogging because it is a fundamental part of your marketing strategy. Your blog must be well-crafted and managed, because it is your greatest source of website traffic. Done right, it will attract new prospects and keep past patients coming back for more. Social marketing is another essential for med spas. It works to increase awareness of your business, and it can build awareness and reputation for key staff, too. Social marketing allows you to zero in on target audiences by location and other demographic factors. You can interact with prospects, current patients, and referring colleagues, so you can directly and indirectly build your business. Medical aesthetic procedures are already one of social media’s hottest topics. Celebrities are touting their latest treatments and procedures at an ever-increasing rate, spurring interest from fans and, seemingly, everyone else. In effect, they are selling your services – all you need to do is connect the dots by linking these popular procedures with your med spa. If “everybody is doing it,” you want them to call you. Social users aren’t just listening to celebrities, either. They’re conversing with each other to learn more about aesthetic enhancement. You can join the conversation and reach all age groups via social media. But you have to work it strategically. Twitter is perfect for short bursts – quick comments or news flashes, sharing links, patient notifications. Facebook lets you say more, so it’s ideal for sharing links to your blog or other recent content (with a short intro), inviting followers to special events, posting photos and linking to new videos. Create separate Facebook profiles for your med spa and for personal use, and always keep them separate. Do not use your personal account to engage with patients. Snapchat is growing rapidly, and its users include your target audience. This is a great place to share candid staff photos or videos or breaking news about your business. 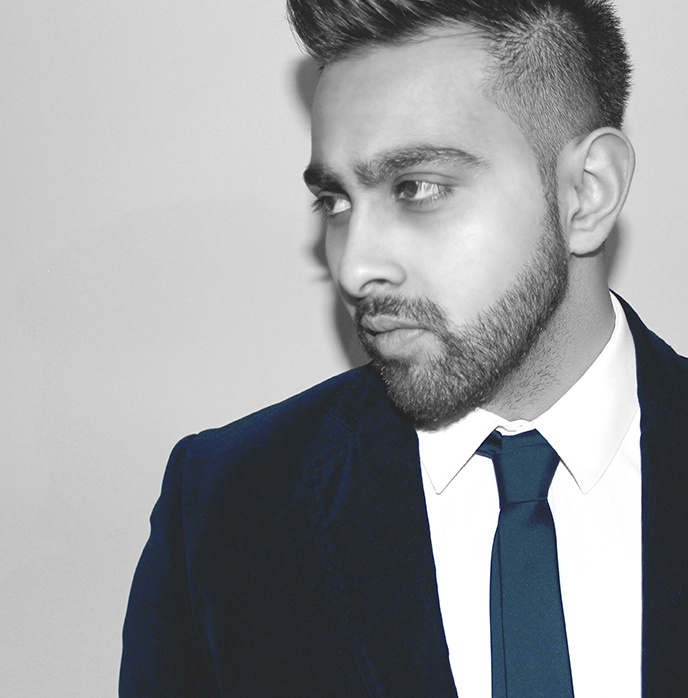 Host Q&A sessions or interview patients or one of your aestheticians. YouTube is a must-have for posting short videos. Use them to explain specific procedures, or discuss how to choose the right treatment or procedure. Never post videos of actual procedures if there is even the remotest chance the visuals will be a turn-off. Remember, not everyone is as accustomed to needles as you! Let your before and after photos speak for you instead. Embedding your YouTube videos in your own website pages gives you control over what people see. Otherwise, YouTube might auto-queue your video among material that is inappropriate or promotes a competitor. Of course, you want fans and followers to share the content you post with their own fans and followers, too, to broaden your reach. But successful social marketing is conversational. The point is to engage prospects and followers in back-and-forth discussions. So think of social media as listening posts where you can learn what patients are interested in. And concerned about. Then create marketing content that provides what they crave most, and share it. [Q&A] How Long Do Botox Injections Last? RSVP for our Halloween Spooktacular Event, and get a free staff consult plus special pricing on injectables! Avoid constant sales pitches, just as you do with other inbound marketing content. Followers will feel taken advantage of, and they’ll stop paying attention to you. Instead, sharing content you know (or suspect) is relevant for them is far more likely to capture their interest. Give them the option to learn more, so they can make the decision to follow up, one-on-one. If they do, that’s the time for a more sales-focused discussion. Always present a professional-but-approachable persona when “speaking” on social media. If someone posts a comment or a direct question, respond as soon as possible, to show you’re listening and keep the conversation going. Say, “Hey, I like that!” if a post really catches your interest, and then share or retweet it. Social interactions may be conversational, but they’re conversations with a plan. You have to identify your social media goals before you can know if your marketing is effective. Typical goals for med spas include generating more leads, building your personal brand as a medical provider or professional aesthetician, increasing awareness of your facility, and nurturing current leads to establish trust and move them toward booking an appointment. Which social channels do each of your target personas use most? If they’re younger, they’re probably on Instagram and Snapchat. Older generations tend to lean toward Facebook. Once you know where to find them, consider what kind of information your personas are looking for. Which treatments or procedures interest them most? What questions do they typically ask? What will influence their decision-making? Your prospects are using social media, along with other tools, to discover and explore aesthetic enhancement options, decide whether to “take the plunge” on a particular procedure, and choose the most comfortable and trustworthy med spa. With a well-planned social media strategy, you can introduce your business, establish yourself as a go-to information resource, and build a relationship that makes it easy for them to choose you when they’re ready to move forward. Remember email? Sure you do. You use it every day. Just because you hear a lot about blogging and social media these days, doesn’t lessen the importance of email in marketing your med spa. Email can do things other channels cannot, yet it also integrates beautifully with other channels. Combine email with a powerful website, smart blogging, and creative use of social, and you have what it takes to create well-targeted, motivating campaigns. Get ready to grow your med spa. Email is especially effective for lead nurturing. You can stay in contact with website visitors and anyone else who has given you permission to communicate with them via email. You can correspond privately with just one person, but email really shines when you use it to target specific groups of prospects. Targeted group emails are great for one-time promotions – for example, announcing each month’s specials. You can direct these to prospects and/or existing patients. However, when it comes to lead nurturing, multi-email “workflows” can work wonders. These are email messages you present in series, usually 4 or 5 messages in total. The general topic of the whole workflow is the same (and tailored to the recipient’s specific area of interest), but the content of each individual email differs. Using marketing automation software such as HubSpot or Marketo ensures emails are timed correctly. It also enables you to stop sending further messages to recipients who have already responded. The software’s tracking data shows which email and call-to-action sparked that person’s response, so you can identify what messaging converts best. Email #1: Have you considered a quick, rejuvenating chemical peel? Email #2: Wouldn’t a facial feel great right now? Increasing repeat business is as important for your med spa as for any other type of business. Studies show it costs 5-7x more to attract a new customer than it does to retain an existing one. And repeat customers tend to buy more often, and spend more when they buy. That can give your bottom line an exponential boost. Customer retention, or loyalty, is based on trust that comes from positive experience. Staying in touch via targeted emails reinforces that positive experience, delivering relevant messaging that shows you know what matters to that patient. Over time, you can convert loyal patients into “brand advocates” for your med spa. There’s no better (or more cost-effective) marketing than that. By law, you cannot send marketing emails to anyone unless you have their permission. When someone gives you their email address by subscribing to your blog, downloading a piece of premium content, or becoming a patient, they are automatically “opting in” to receive email communications from you. The law also requires every marketing email to have an unsubscribe option, so recipients can choose to stop receiving emails from you. To minimize that risk, you’ll want to structure your email marketing properly, send only relevant messages, and always observe proper email etiquette. If your emails are detected as “spam,” recipients will never see them. Spam policies differ among internet providers, so you might have to set up a DKIM signature on your email servers or take other steps to verify your identity. Doing that will ensure smooth sailing for your messages. Formatting matters, too. With so many people using small-screen mobile devices, you want your emails to be easy-to-read on any size screen. All that ensures deliverability for your email marketing. That’s great, but are your recipients responding in the numbers you’d like? Guessing is a poor business practice, but studying your analytics will give you accurate data. Compare your results against your goal for each email campaign. That might be more blog subscribers, more appointments or consults scheduled, more premium content downloads, more product sales . . . whatever your marketing strategy dictates. The more you study your inbound marketing results, the more you’ll learn. Understanding in detail what works for you and what doesn’t allows you to continuously refine your marketing to generate ever better results. Click-through rates (CTRs) – they opened your message, but did they respond by clicking through to your website? Click-through-rates are the percentage of recipients who responded – the goal of every email, no matter what the subject. Study your data to see which audience segment(s) are taking the next step and which offers are triggering their response. Look for details such as which target segment(s) are responding, and what offers they’re responding to. If certain individuals never respond to anything over time, consider deleting them from your email list. On the flip side, we deliberately avoided using superlatives that over-promise by suggesting unrealistic or guaranteed results. We also never use words that could disparage someone’s self-esteem. Prospects want help and support, not judgment. So talk about how you partner with them to help create the best possible version of themselves. Sending the right message to the right targets generates the most response. But you can do even more to sweeten the pot. Incentives like discounts or exclusive offers can boost conversion rates. Imparting a sense of urgency (“this week only”) works, too. Don’t over-use incentives, though, because prospects and patients will come to always expect extra perks. That costs you money and diminishes your brand as a discounter – not the professional reputation you want for your med spa. Keep your emails interesting, and perhaps just a bit unexpected. Educational information one time, strategic special offers next time. Insert something just for fun now and then – a cartoon, humorous quote, or quotable factoid. That way, your email recipients will look forward eagerly to your next message, and your med spa will get email results that put you ahead of the competition. Inbound marketing enables your med spa to grow a suite of assets that deliver for you long term. A continuous supply of organic search traffic. A high-quality opt-in email list. A dedicated (and growing) group of social media followers. And a Google Maps listing accompanied by great reviews. Now your med spa is definitely in growth mode. But you can do more, to fill in gaps and extend your reach to new prospects. We’re talking about “paid media,” more commonly called paid advertising. You can use integrate paid media with other multi-channel marketing campaigns, or use it as a stand-alone technique to promote your services. These are the ads you see at the top of search results. They appear based on the keywords you select as well as other targeting factors. You can advertise via Google AdWords, Yahoo!, and Bing. These ads are both relevant and timely, appearing just as searchers are considering making a purchase. These “banner ads” appear on websites as you are visiting. Like PPC, your ad is shown to prospects based on specific targeting criteria. You can incorporate text, photos, graphic images, and videos into you ad. Not to be left behind, an increasing number of social media platforms now offer paid advertising options, too. Chief among them is Facebook, but you can advertise on Twitter, Instagram and other channels as well. You can use ads here to reinforce and expand visibility of your social posts. Because social media platforms collect a lot of data on their users, you can target your ads in great detail. More people now use mobile devices rather than laptops or desktops to conduct online searches. Not surprisingly, mobile advertising is gaining popularity as a tool to generate leads and inspire conversations. Mobile ads are designed with small screens in mind, putting your offer literally in your prospects’ hands no matter where they are. You may not be familiar with “native” advertising. Unlike other types of advertising, this is not a sales offer but informational content. You pay to place it on someone else’s website. It is formatted to resemble that site’s pages, so it looks “native.” Since it is intended to be informative, your native advertising might be an infographic, a video, or an article, but it is always considerably longer than other types of ads. The sales aspect is subtle, coming in the form of branding and links that lead back to your website. This, this, and this are examples of native advertising on Buzzfeed, one of the first sites to use this format. “Sponsored stories” are another form of native advertising, distributed by display networks like BrightInfo, Outbrain, and Taboola. Deploying advertising enables you to quickly generate marketing results, giving your “earned” media (your other inbound marketing channels) time to catch on and grow. You can turn ad campaigns on and off instantly, and get real-time data to track results. That way, you can modify content or other ad details on the fly, if necessary, rather than waiting till your campaign is over to assess results and plan changes for next time. Even better, you can use A/B testing to evaluate ad elements one at a time. You can see which words, colors, placements, etc. drive the most clicks and conversions. PPC ad data on click-through rates, keyword search volumes, and so on also helps you sharpen other aspects of your inbound marketing strategy. If you’re seeing high click-through rates, it means people are seeing your ad and are interested enough to check out your offer. If they fail to follow through by taking the next step – downloading your e-book, registering for your event, scheduling an appointment – then you just lost money. You paid for the click, but you didn’t earn any revenue in return. Cost per click can range from a tiny amount to a great deal, depending on who you target, the channel you choose, when your ad is displayed, and other factors. If you don’t do it right, you can easily waste a lot of time as well as money. Under the right guidance, however, paid advertising can be a powerful marketing asset. This is one instance in which a marketing team with extensive paid media experience can make the difference between failure and success. If you choose to use paid media to promote your med spa, it should be integrated as part of your overall inbound marketing program. It can support and augment your efforts to connect with prospective patients and start to build a trusted relationship with them. Paid ads provide valuable repetition, keeping your name and offers in front of prospects. The more often people see your name, content, and offers, the more memorable your med spa’s brand becomes. That builds confidence and trust, and it separates you from the competition. Exclusive golf or country club publications that offer locally-targeted advertising options. Local or regional lifestyle magazines, such as Atlanta magazine, Seattle magazine, or Denver’s 5280 magazine. You can purchase advertising, but you can also get “ink” to publicize your business by getting to know the magazine’s editor or one of their contributing writers. These publications are always looking for good stories, and a piece about you or some aspect of your med spa might be just what they need. In some smaller markets, billboards can be a great choice to promote general awareness of your business, or even to promote a new technology or a specific procedure. (Billboards in bigger markets are sometimes prohibitively expensive.) The thing to remember about billboards is that your message must have instant impact – viewers have only a glance, from a distance, to grasp your point. Television is the medium to use if you want to reach the masses, but it isn’t cost-effective for med spas. TV advertising works only if you run many ads over a long period of time, which drives up the cost – plus you have costs to produce the ad. Traditional TV advertising isn’t even very effective in delivering results for niche businesses such as yours. While it’s true that your patient base is ever widening in terms of age, it is still essential to carefully target your marketing efforts. But there are other ways to get on TV. For example, it is far less expensive to advertise on cable TV channels that have strong viewership among your target audience. Or instead of buying ad time on a TV station, ask about sponsoring relevant programming, such as their “Medical Minute.” This sometimes costs less, and the audience is oftentimes a good match. Your business is highly visual, so traditional radio advertising oftentimes doesn’t make sense. Nonetheless, like their television brethren, some radio stations air special programming such as a “Medical Minute.” You may even find that one of your local radio stations regularly airs a “deeper” health-related program, or regularly includes a medical segment in their news broadcasts. Again, these can represent effective, and cost-effective, sponsorship opportunities. If you’re looking to attract new patients to your med spa, direct mail is not a good choice. As with television, you cannot target the audience well enough to get good, cost-effective results. That said, direct mail can sometimes add value to a multi-channel campaign – introducing your new location, for example. Direct mailings that do work are personal, one-to-one communications. Send patients a birthday card (and celebratory gift certificate), signed by the whole staff. Have aestheticians send their clients hand-written thank-you cards. These nice surprises can build massive loyalty. Promotional items that carry your branding are a fun way to keep your name in front of people. The best items are those that relate to your med spa/healthy lifestyle in some way and which will last long enough for the user to see your name repeatedly. For med spas, lip balm or purse-size hand lotion are great choices. We live in a dynamic world. Trends and priorities change rapidly, diverting people’s attention in different directions. The lesson for marketing is: keep an open mind. What works today may not be so effective tomorrow. And what you thought was passé may regain new marketing life with a tweak or two. Testing and evaluation are just as important for successful marketing as they are in refining cosmetic enhancement treatments and products. Women and men considering a visit to a med spa start their buyer journey in the same way as any other consumer — with research. These days, thanks to the prevalence of online sharing, consumers are especially interested in (and reliant on) testimonials and online reviews. These offer word-of-mouth verification of your services, products, and staff, dressed up in a modern electronic format. Growing your online reviews will help grow your business. When potential patients see there are a lot of reviews about your med spa, their confidence increases. No one wants to feel like a “test subject,” so showing that many people have already visited your business reinforces your credibility and stability. Put a sign on your reception desk that invites patients to post a review. Add the icons of your preferred review sites. Following each appointment, while the patient is still at your office, ask about their experience. Feedback enables you to continuously improve your service and other business practices. If the person is happy, ask if they would be interested in writing a review. You can hand them a list of your preferred review sites, or even better, ask their permission to email or text the list to them. This boosts the likelihood they will follow up, because all they will have to do is click a link to post their review. A text or email has the added advantage of serving as a reminder for them to post that review while their experience with you is still fresh in their mind. Do you send post-procedure emails to thank patients? (You should.) Add an invitation to post a review about their experience, with links to some suggested sites. If you currently send these emails by hand, consider getting software that will automatically send a thank-you after each appointment. While getting lots of reviews is important, the review ratings themselves are more important. Naturally, you hope everyone will give you a 5-star rating, but nobody’s perfect. Regardless how wonderful you and your staff are, you will probably get a negative review now and then. Your feelings may be hurt, but prospects who see your reviews are able to read between the lines. One negative among many positives doesn’t carry much weight. In fact, if you have 100% positive reviews, that can actually look disingenuous and can make people doubt whether those reviews are actually authentic or not. It is imperative to check in with your review sites frequently, just as you keep up the conversation with your social media followers. Of course you want to see what patients are saying about you — and feel that glow you get when the comments are especially complimentary. However, it is even more important to catch anything negative right away. Either way, responding quickly and appropriately helps build trust in your med spa. Creating a system for managing reviews – both positive and negative – will help you stay on track with this vital marketing opportunity. If their comments were especially flattering, send them a personal email to say a thanks one-to-one, too. Do not respond to every review. You want to say thanks – and be seen doing that – but replying every time gives the impression that a computer is responding instead of a live person. Never fail to address a negative review. Post a public response to general complaints. Always apologize for their negative experience, even if you don’t feel at fault, and always state what you are doing (or will do) to address their issue. It is critical to build a reputation as a business that listens and acts to correct problems, small or large. However, if you receive a review that is very serious or very personal, do not go into personal details when you respond publicly. 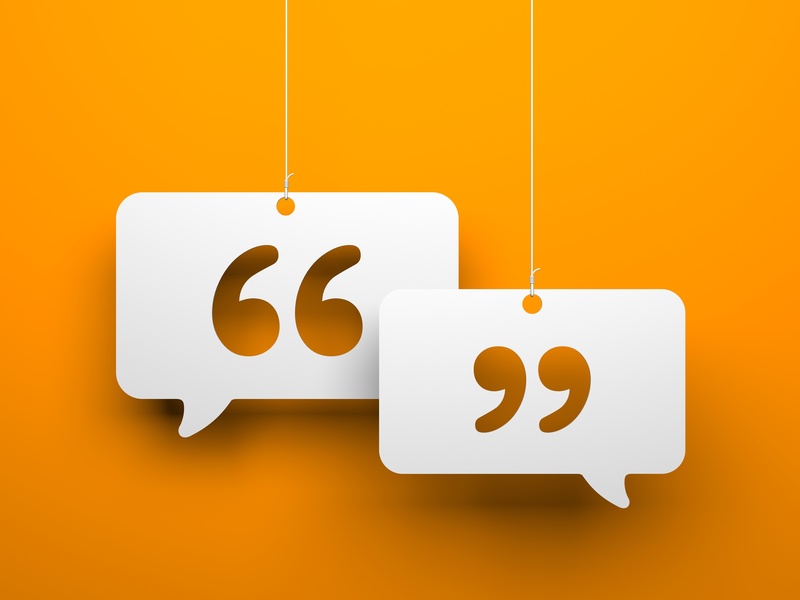 Apologize publicly in generalities, and then take the conversation offline by responding directly to the patient about the specifics of their complaint. Use short quotes from testimonials on relevant product or procedure pages throughout your website. Incorporate testimonials into marketing campaigns for specific products or procedures. Make sure your website has a Testimonials & Reviews page (and/or review modules placed on other pages) where you can show off great examples of patient praise. Place buttons for each preferred review site on your homepage, with links to those sites. Turn happy patient stories into case studies. If someone mentions they were especially pleased with their experience, either in person or in a review, ask if you can share their “experience story.” You can do it anonymously. Case studies have double marketing value for your med spa. By illustrating a successful real-life example, they simultaneously educate potential patients and reinforce their confidence in your facility. Professional certifications and formal recognition from medical aesthetic associations, local lifestyle publications, and public “best of” surveys all highlight your med spa’s credibility and personality. Creating an Awards & Honors page on your website gives you a place to show off these accolades. Be sure your website displays icons with links for all your social media endeavors. They should be instantly visible to visitors. Simply seeing these familiar icons tells prospects your business is “with it” and engaged with patients. That’s a subtle testimonial in itself. Events broaden awareness of your business and reinforce your personal brand as the doc or manager in charge. When you host or join in events, you can educate potential patients about the services and products you offer, including options that may be new to them. And because there is “safety in numbers,” prospects may feel more comfortable attending your event than they would scheduling a one-on-one visit. That’s even truer if they attend with one or more friends. Events can also highlight your med spa’s personality as a business. Building rapport builds trust and confidence – critical factors when someone is considering medical aesthetic treatments. Nothing is more personal to us than the way we look and feel about ourselves. When prospects can meet you and your staff in a relaxed, non-threatening atmosphere, they can put a “face” to your business and get a feel for your personality. “refreshing” effects of laser skin treatments and injectables. Consider partnering with a vendor for this type of event. Hold a Halloween “spooktacular” or “Bootox” event. Create a pumpkin patch with tiny pumpkins, slipping a variety of surprise gifts or discount coupons inside each one. Then let attendees pick their pumpkin. One way to promote your med spa and really endear yourself to patients (and the rest of the community) is by tying your event to a cause. Link up with a well-known charity – a national organization or one that’s a local favorite. Then sponsor or donate to their big event, or host your own event as a benefit. The American Cancer Society celebrates No-Shave November – a wonderful way to market your med spa to men. Talk about unwanted hair removal. Many organizations hold auctions or similar fundraising events. Donating a gift certificate or a basket of favorite products is a great way to put your name in front of event attendees and get the recipient in your door. You might even consider donating a lower-cost silent auction item and a high-value oral auction item that will bring even more attention to your med spa during the event. And don’t forget about volunteering – wearing branded shirts or something else that clearly identifies your med spa. Do it as a staff to build camaraderie. Broadcast a non-invasive procedure live on Facebook. Group with one or several local providers of complementary services — a wellness expert, a makeup artist, a personal trainer, etc. – to host a multi-faceted event. For example, “Beauty on a Budget.” For your part, unveil a new moderately-priced treatment, or offer a multi-visit injectables package at a reduced price. Partnering with others greatly expands your marketing reach, because every partner promotes the event to their own clientele and prospects. Consider hosting an event offsite, as a way to introduce your med spa to a different audience. For example, “lunch and learn” events are very popular with busy professionals, but your office may not be the best venue for that. Instead, host a 45-minute luncheon at a local restaurant, inviting specially-targeted women and men. Give a short talk (keep it informal) about a relevant treatment – one that’s also lunch-hour-friendly so it’s ideal for busy business people. Think of events as a chance to socialize with prospects and patients. Focus on fun, and let your special presentation add extra value rather than taking center stage. Make key points but don’t belabor them. Be sure to give attendees a clear call to action and tell them how to follow up – for instance, scheduling a personal consultation with one of your aestheticians. Offering an incentive to follow-up (one-time special discount) can really boost response. You’ve heard that it costs 5 to 7 times more to attract a new customer than to retain one. That’s as true for your med spa patients as it is for any other type of business. A predictable base of recurring customers gives you financial stability. From there you can expand your services and clientele to keep your med spa growing. Patient retention and loyalty should be just as much a focus of your marketing as new patient acquisition. But remember that even once you earn a customer’s loyalty, you have to continue earning it — just like any other personal relationship. The rewards are many. It feels good to know patients love your med spa above all others. To see familiar faces returning through the door. Loyal patients not only visit more often, they’re likely to spend more each time, so they generate greater revenue in two ways. But loyalists generate more than just their own increased spending. They share their great experiences at your med spa with friends and colleagues, in person and online. They post great reviews about you. They become “brand advocates” that help market your business in priceless ways. Obviously, then, it pays to build lasting relationships with your patients. And there’s yet another benefit to patient loyalty. With each repeat visit, you get additional “face time” to upsell and cross-sell, encouraging them to try new services or products. That can generate even more revenue. Of course, it’s only right that you reward your most loyal patients, to thank them for their support. That puts the icing on the cake when it comes to them continuing to choose you over the competition. Rewards should be relevant and meaningful so patients truly feel thanked. With that in mind, consider your clientele as well as your med spa’s range of products and services. Special deals on current services are always appreciated, but you can also use your rewards program to introduce a new service or product. Keep it fresh by periodically changing your rewards or adding the occasional surprise gift. 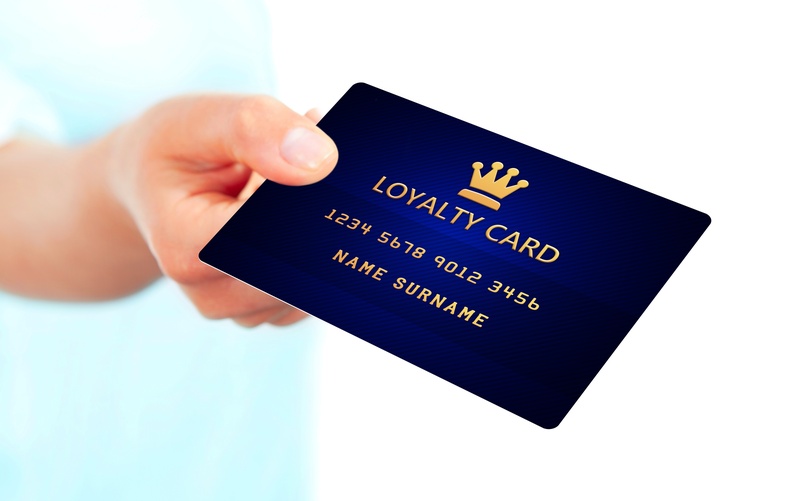 You can structure your loyalty program in various ways. That might be solely how much a patient spends, but you can also assign points for dollars spent, as well as number of visits, or even other factors, such as number of social shares. Offer a special gift or discount to patients who like you on Facebook. Create a monthly email campaign for all your current and past patients (or just a specific segment), offering Monthly Specials in “treat yourself” and “splurge” price categories. This is another great way to get people to try new things. Surprise your longest-time or most frequent patients with a surprise gift or discount now and then. Offer priority access for scheduling appointments. Host special events such as product introductions or demos, exclusively for loyal patients. Another way to encourage and reward loyalty at the same time is by creating clubs and memberships at your med spa. The implied exclusivity has extra appeal. You might create a club for patients who want ongoing “preventive skin maintenance,” with benefits such as chemical peels and microdermabrasion or microneedling. Or a members-only group focused on monthly visits for Botox and dermal fillers. Make sure your memberships have a short menu of choices for members, so they appeal to the widest range of patients. You may choose to charge an annual or monthly membership fee – if you do that, you can “soften” it with an accompanying one-time special service or by applying part or all of it to future purchases. Investigate vendor rewards programs, too. Allergan and some other providers support sales of their products through medical aesthetic clients in this way. Read the fine print, though. Programs that require your patients to deal directly with the vendor for sign-up and rewards redemption tend to cut you out of the picture. And not everyone will be excited to give their personal information to some third party. Most rewards programs go unused, because they are too confusing or complicated or it takes too long to actually get a reward. Programs like that have no value for your patients or your business. Instead, make your program easy-peasy. Skip the plastic cards – or anything else that puts responsibility on your patient. Enable electronic sign-ups, and track each patient’s usage via your office CRM software. Even better, set up a secure portal so each person can track their own status from anywhere, any time. Or create a little app they can download to their phone to track and redeem rewards, and check their membership status. Loyalty programs are intended to show appreciation and increase repeat business. But the mere fact that your med spa has a loyalty program is also a marketing asset. If it’s relevant and meaningful – and easy to use – it can set you well above competitors, attracting new business. Who wouldn’t choose the med spa where they not only get great service but get something extra, too? So tell the world about your loyalty program(s). And keep telling everyone, to encourage maximum participation. What can you do? Post signs in your office – at reception and even in treatment rooms. Invite patients to sign up when they check in. Make it super-easy by handing them a tablet they can use to sign up right away and get started earning rewards with today’s visit. If you want to create a patient loyalty program that gets used and talked about, focus on value and flexible options. We all know you have to spend money to make money. Especially when you’re faced with tough and growing competition. But no one has an unlimited budget. So in order to spend effectively, you have to plan your spending strategically. You need a marketing budget. That sounds great, but you still have to invest wisely. It’s a balancing act. You don’t want to overspend, but you must allot enough resources to promoting and building your business if you want it to grow. And grow as fast as possible. The “right” amount to devote to marketing depends on how long your med spa has been in business, the type of services and products you offer, your geographic location (and desired/likely drawing distance), and your marketing goals. Industry experts usually recommend that a mature med spa business plan on budgeting 6-7% of total revenue for ongoing marketing. If your business is newer, you should allot more – closer to 10% – to ensure you make the marketing impact you want and need. In-office and patient consultation collateral, office signage, etc. Once the basic necessities are in place, your marketing budget will focus on strategic development and implementation of specific tactics. Priorities will change as your business grows. And you’ll need built-in flexibility to capture unforeseen opportunities if they arise (such as adding an unplanned new procedure or product). Marketing itself changes over time, too, and in a business where freshness and renewal are paramount, your marketing has to stay fresh and current as well. The following rundown is an example of what we typically recommend for med spa clients, assuming the projected revenue figures shown. As you look down the list, you can see how the recommended marketing mix changes to complement your med spa’s increased brand awareness and reputation within the community. The list can seem daunting – there is a lot of work to do here, and success requires skill and experience. Partnering with an expert team such as ClearPivot on an ongoing retainer puts your vital marketing work in our capable hands. You can relax, confident your marketing is on plan and on budget. And you and your med spa team can focus on what you do best — building patient relationships and generating revenue. As your business matures, never assume marketing will become merely a matter of “maintenance.” No matter how consistent your patient base, how well-known your med spa becomes, how fabulous your reviews, or how many referrals you see, you will never outgrow the need to generate new leads and secure new patients. Your competitors won’t let up (and you can expect their numbers to keep increasing). Marketing is what keeps you ahead of the pack. We highly recommend creating a marketing calendar. This makes it easy to see at a glance what your marketing will look like for the entire year. Annualized planning ensures you take full advantage of peak periods and do everything you can to fill in seasonal or other predictable gaps. With a calendar at hand, you can easily plan timely, relevant promotions, using the themes and other ideas in our Events chapter to attract additional interest. That said, you should never consider your budget and calendar to be “etched in stone.” That flexibility we mentioned earlier is crucial to maintain your business agility. You want to be the first to adopt (and promote) new tools, technologies, and products, but you can’t do that if your plan is too rigid. While it’s important to identify an overall budget for your marketing, it’s equally important to spend each dollar where it will have the greatest impact. Driving more traffic to your website, generating more leads, increasing sales. Strengthening patient loyalty. Tracking and analyzing your marketing performance metrics is essential to ensure you’re spending your budget in the most effective ways. Occasionally, good ideas don’t pan out. You need to know why, so you can avoid that tactic, channel, wording, etc. in the future. Sometimes good ideas turn out to be exceptional, performing beyond your wildest dreams. You want to do more of that! Ongoing testing, evaluation, and refinement keep your marketing sharp and effective in every detail, delivering the biggest bang for every dollar spent. What a great time to be in the medical aesthetics business! The industry is growing significantly – on average med spas earned 6.9% more revenue in 2016 than in 2015. More growth is projected for the coming years. Awareness has never been greater, when it comes to medical aesthetic procedures, treatments, and specialized products. The opportunities are there, but so is the competition. Your med spa must be seen as a distinctive, comfortable, trusted resource, if you hope to be part of the growth trend. Strategic, well-executed marketing has never been more important for your business. That’s why we have covered so much marketing ground in this guide. It’s a lot to digest, we know. But perhaps the single-most important takeaway is that your prospects are moving targets. They use multiple devices and channels to search and browse online, and they’re more mobile than ever. You have to take a holistic approach to marketing, to ensure you’re producing timely, relevant content and presenting it where and when your prospects are spending the most time. All the components we’ve talked about in this guide have to work as a synchronous team, integrated in ways that expand your reach and reinforce your messaging. When you can do that, you’ll be able to increase awareness, generate more and better leads, convert them to patients, and secure their ever-lasting loyalty. Digital marketing works because it’s all about your patients – even as they make the decision to choose you! It takes marketing knowledge and experience plus industry-specific insight to accomplish that. 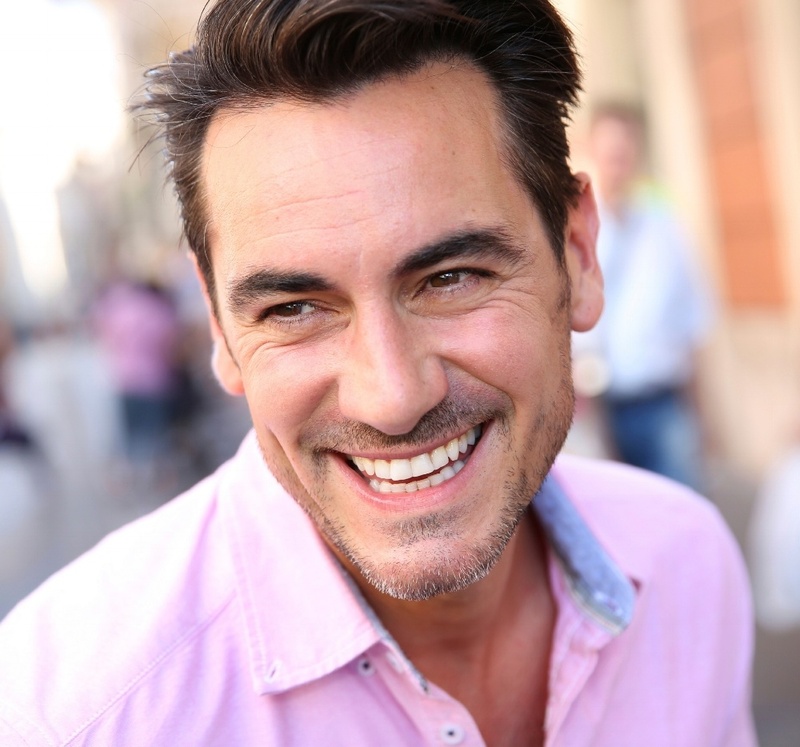 Prospects and existing patients look to you for professional help in improving their appearance and self-image. In the same way, your med spa can partner with a professional or agency to enhance your marketing. You may be surprised to see just how great your results can be, not to mention the healthy return on your investment. We can help, so let’s schedule a marketing consult. We can explore your situation, chat about how we might work together to grow your med spa business, and determine if partnering with ClearPivot is a good solution for you.